I just thought that Mondays can be pretty often gloomy and boring, empty and unmotivating.. 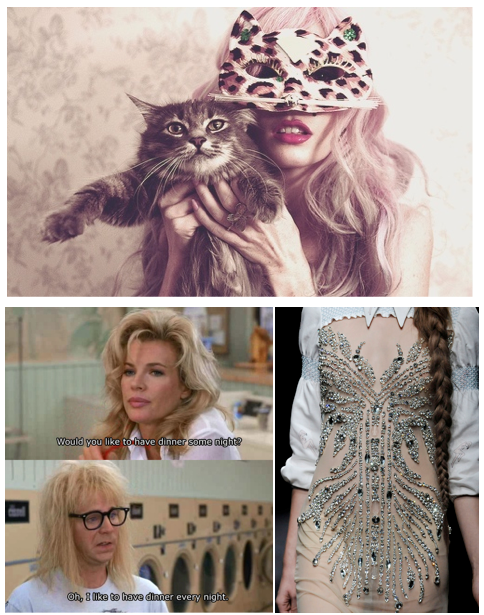 So I just decided to create these mood boards to cheer you all up: collages of photos that can make you smile, with movie scenes and kitties, to everything that sparkles, flowers, unicorns, nice tunes and rainbows. A little bit like Julie Andrews in The Sound Of Music when she sings My Favourite Things (..Whiskers on Kittens, remember?) ..Enjoy the first ones!